You better get a lawyer son. 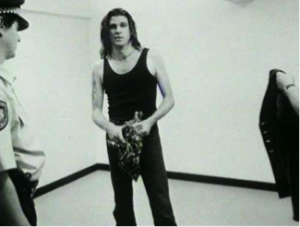 Lawyers (apologies to The Cruel Sea…) if you need one, ‘you better get a real good one’ and; at Rando and Associates we believed the time was right to partner up with a couple of good ones should you ever find yourself in a situation like Tex Perkins here. Not content to just give you a name and send you on your way, we’ve engaged with a network of solicitors and barristers across Australia to ensure you can access prompt legal advice when you need it. This arrangement also assures us (and you) that you receive the expert advice you need along with the same Rando and Associates service that you’ve come to expect from our team. If you have any legal issues outstanding (or you’ve got something you’re ignoring because you’ve put it in the ‘too hard’ basket’) call Naomi on 9792 4800 and let her get the ball rolling for you.